A hat which belonged to South Korea’s most revered monarch King Sejong has been recovered more than 500 years after it was looted by Japanese invaders, a senior scholar said Wednesday.Apart from its intrinsic value as an historical relic, the discovery has thrilled scholars after documents were found stitched inside the hat carrying explanations of King Sejong’s greatest legacy — the Hangeul alphabet. The monarch known as Sejong the Great ruled from 1418-1450. 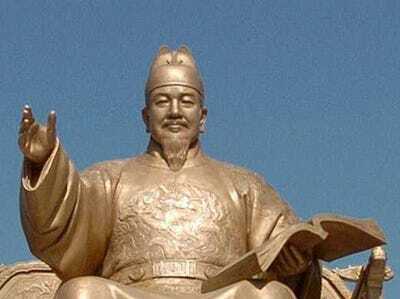 His reign had a profound impact on Korean history with the introduction of the Hangeul phonetic alphabet that replaced classical Chinese characters. Hangeul vastly increased literacy — previously restricted to the top scholarly class — and remains the official script of both South and North Korea. The king’s statue occupies an honoured place in the centre of Seoul and numerous buildings and institutions are named after him. Hangeul Day commemorating the alphabet’s creation is a public holiday. Lee Sang-Gyu, a professor of Korean language and literature at Kyungpook National University, told journalists that the Ikseongwan (cicada-wing hat) was purchased in Japan last year by a South Korean collector. “This hat will help shed light on details on the creation of Hangeul and ancient royal costumes,” Lee said. The documents are believed to be at least two years older than the hitherto oldest documents explaining the principles behind the creation of the Korean alphabet, he said. The hat is believed to be one of many royal relics looted during the Japanese invasions of Korea in the 16th century, Lee said. The outside is composed of pieces of brown and dark cloth embroidered in gold, and the inside of fine red cloth. The documents were found hidden in between the two. The unidentified local collector has decided to donate the relics to the state, Lee said.